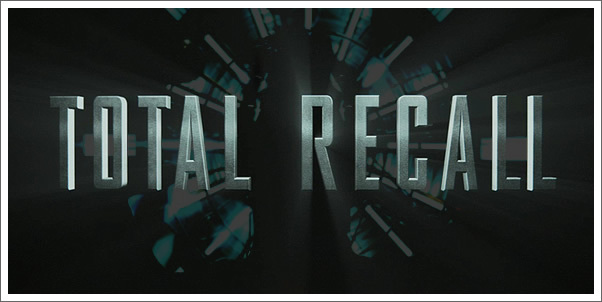 July 31, 2012 – Los Angeles, CA - Madison Gate Records is proud to announce the release of the original motion picture soundtrack of Total Recall, with an original score by Harry Gregson-Williams at digital retailers on July 31st, along with the theatrical release of the picture on August 3rd. Harry Gregson-Williams is one of Hollywood’s most sought after composers, whose scores span the spectrum of high-profile projects from action to drama to animation – each infused with the emotional punch and atmospheric intensity that mark his distinctive musical style. He worked on all four installments of the blockbuster Shrek franchise; garnered a BAFTA nomination for the score for the first Shrek; and received Golden Globe and Grammy Award nominations for his score to Andrew Adamson’s The Chronicles Of Narnia: The Lion, The Witch And The Wardrobe. His recent credits include Arthur Christmas, Cowboys & Aliens, and the documentary Life In A Day. Welcome to Rekall, the company that can turn your dreams into real memories. For a factory worker named Douglas Quaid (Colin Farrell), even though he's got a beautiful wife (Kate Beckinsale) whom he loves, the mind-trip sounds like the perfect vacation from his frustrating life - real memories of life as a super-spy might be just what he needs. But when the procedure goes horribly wrong, Quaid becomes a hunted man. Finding himself on the run from the police – controlled by Chancellor Cohaagen (Bryan Cranston) – there is no one Quaid can trust, except possibly a rebel fighter (Jessica Biel) working for the head of the underground resistance (Bill Nighy). The line between fantasy and reality gets blurred and the fate of his world hangs in the balance as Quaid discovers his true identity, his true love, and his true fate. The film is directed by Len Wiseman. The screenplay is by Kurt Wimmer and Mark Bomback and the screen story is by Ronald Shusett & Dan O’Bannon and Jon Povill and Kurt Wimmer. The producers are Neal H. Moritz and Toby Jaffe.